Computer Viruses is a program file capable of reproducing its own special code and attaching that code to other files without the knowledge of the user. Research papers on computer viruses change frequently. Because of this, Paper Masters custom writes each research paper we produce so that you have the most up-to-date information possible in your paper. Getting a custom research paper on computer viruses is the only type of paper to order on the internet because you need the most relevant information possible regarding the inherent and computer issues. A computer virus is a program file capable of reproducing its own special code and attaching that code to other files without the knowledge of the user. When the newly-amended program or file runs, the virus code runs, also, and searches out other files to which it can adhere. These other files may reside on a floppy disk or the computer hard drive; they may range from common word processor programs or spreadsheets to e-mail address books. Unlike the winter flu virus that most often infects a school through indirect contact, such as germs left on a drinking fountain or a coughing spell in a crowded locker room, computer viruses are the direct result of someone’s intentional creation. The virus is designed and tested to ensure the code causes the desired effect. Once a virus is created and distributed, it may replicate itself and attach to a program file spreading to more files each time the program is executed. Subsequently, the newly infected files repeat this duplication process each time they are run. On the other hand, the virus may enter the computer’s memory system and wait for a specific event within its operations to activate the infectious spread. This form is harder to identify due to a more irregular distribution pattern. It is not dormant, however; it captures a portion of the computer system’s function to disguise its existence. In a technology-run world computer viruses cause a great deal of stress, if not expense. The damage may range from a silly e-mail that needs deleting to an infectious file on an individual computer’s operating system. Far too often, the virus does extensive damage attaching itself to shared files and thus, spreading rapidly to other computer systems. Once the culprit is discovered, it may only require a simple anti-virus scan and clean process by the computer’s owner or it may necessitate a commercial clean up and the restoration of a large corporation’s total networking system. Dramatic advances in Internet technology have created new security concerns. Computer security remains a significant issue into the 21st century, for both the enterprise network and the personal computer connected to the Internet. The enterprise network demands that appropriate security mechanisms be put in place to protect the data that it stores, manipulates and transmits. Some of the ramifications of security threats can be manifested on the personal computer as well as the enterprise network. PCs are just as vulnerable to security threats as the enterprise network by the fact that PCs, when connected to the enterprise network, can pose a serious security threat in itself. Both the enterprise network and the personal computer are vulnerable to the most common of security threats including computer worms, viruses, spyware and spam. 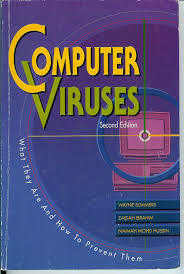 The first prevention step for all computer users is to properly install commercial anti-virus software, preferably downloaded from a compact disc. Unlike floppy disks, CDs are not modifiable; the use of CD programs is a preventive technique. Next, search the system application files. If possible, disable the system’s mechanism for booting from a floppy disk. One option in Microsoft applications enables users to set Macros Virus Protection; it is found in the tools section. Under the Internet tools/options/security/custom level section users should disable acceptance of files from unknown sources and be hesitant to open downloadable files with macros. The Importance of Saving Documents - This page explains the importance of saving documents when you write a research paper. Cloud Computing Security research papers research papers examine the emerging field in computer security. Encryption research papers explicates the difficult technology topic of data encryption for information security. Computer Industry research papers look at the technology and business end of the industry. Super Computers - Almost all supercomputers are constructed through the connection of many computer nodes that have one or more processors and a shared memory. Paper Masters writes custom research papers on Computer Viruses and discusses what it is, how it works, damage it can cause, and protection techniques.